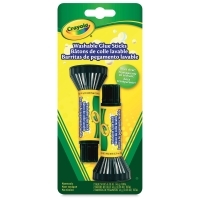 It goes on blue, but dries clear! 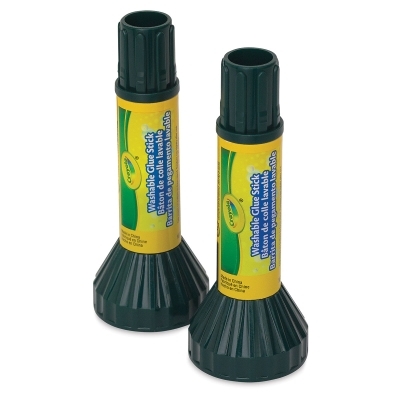 The Crayola Glue Stick has a large pedestal base that's hard to lose, easy to snap on, and keeps the glue stick handy. The glue level gauge lets you know when to buy more. Washable and non-toxic.